College of Liberal Arts faculty often have great ideas for student projects, but they sometimes don’t have the resources they need to bring their ideas to life. A few years ago, the Circle of Giving formed to fill that need. The Circle of Giving is a group of forward-thinking women who fund faculty projects that enrich students’ experiences, and they take a hands-on approach to choosing which projects to support by interviewing the faculty themselves. “We get to meet the professors and see how passionate they are about their projects in person,” said Circle of Giving Chair Lynn Davis (Child Development, ’71). 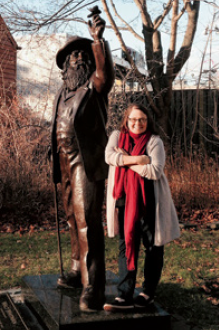 English Professor Catherine Waitinas received a grant from the group in 2014 that allowed her to visit New York City to gather images of important places in poet Walt Whitman’s life. Her students used these images alongside their literary expertise and research skills to produce educational videos about Whitman. 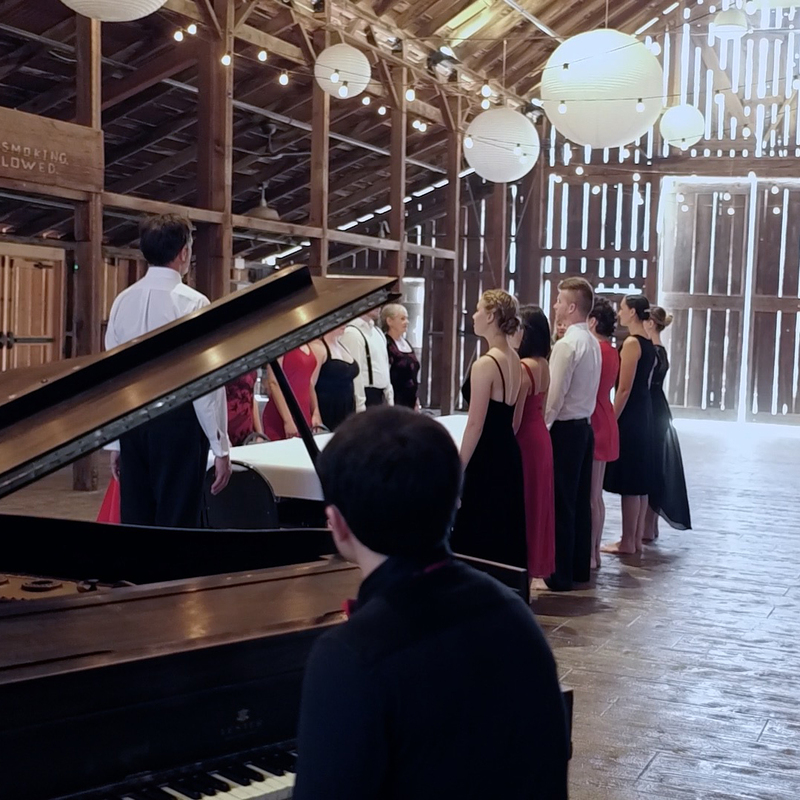 After presenting the project at the national MLA conference, Waitinas and her students were invited to participate in an international video celebration of the bicentennial of Whitman’s birth in 2019. A second Circle of Giving grant in 2017 allowed Waitinas to visit New York City again to be interviewed for the bicentennial videos. The grant will also fund her students’ new videos, which will be used as models for other groups that are contributing to the celebration. examine slave trade records at Kennedy Library. 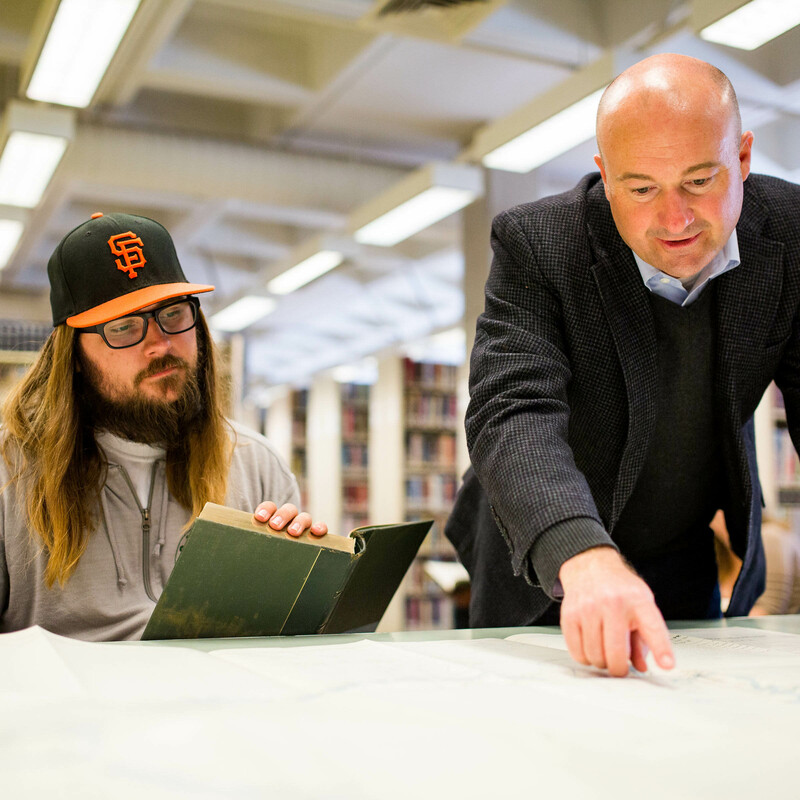 History Professor Matthew Hopper’s Circle of Giving grant provided him the resources he needed to do preliminary research on the East African slave trade at archives in London, which helped him secure fellowships the following year at the Institute for Advanced Study in Princeton and at the University of Cambridge for his sabbatical year. He was able to photograph documents that his students could later use to write research papers in class. “The photos are the next best thing to being in the archives themselves,” he said. “It’s rare that students get the opportunity to write from primary sources like that.” A graduate student also cataloged photos and documents to assist Hopper with a new book about liberated Africans in the regions around the Indian Ocean. Waitinas, Hopper and Stanton all said that receiving the Circle of Giving grant did more for them than just help with funding.